Corals are slowly-growing living animals that co-exist with specialized algae in their tissue that provide essential nutrients, called zooxanthellae. Corals are susceptible to disease, as all animals are, and therefore can get sick and die. Diseases can and do kill coral reefs. In the Caribbean, over 80% of reef corals have been lost due to disease. Losing corals on a large scale can lead to a cascading loss of multiple sea creatures that depend on them including fish. 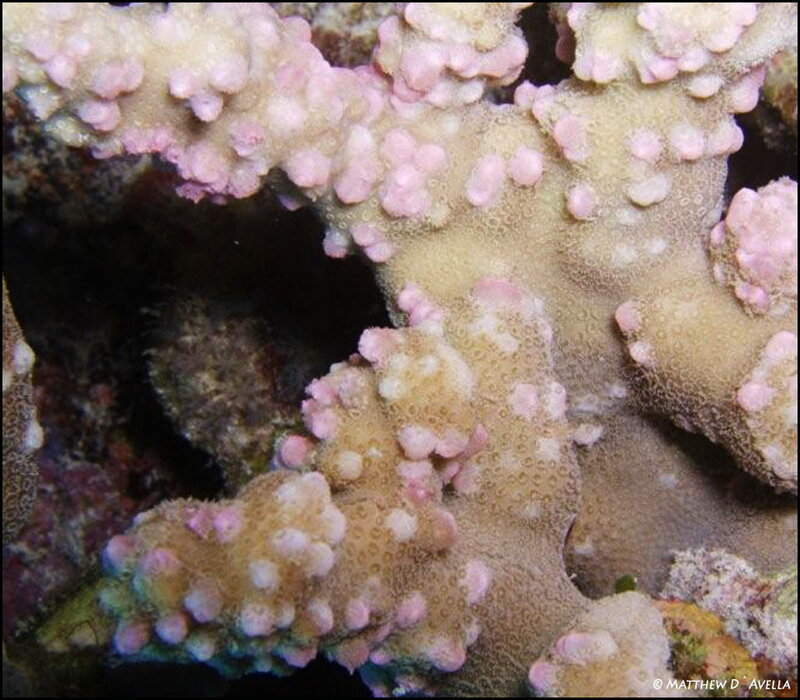 Coral disease can be the result of infectious or non-infectious agents. In many cases, pathogens already exist in the wild, and as corals become stressed from human and/or natural disturbances, their immune system is weakened and they are therefore more susceptible to disease. Exposure to stressors can make corals more vulnerable to disease; the stressors include physical damage, land-based pollution, and resource extraction, as well as non-anthropogenic disturbances including temperature stress and ocean acidification. Physical damage can reduce coral cover directly by killing individual coral colonies. Land based pollution kills corals by smothering them with silt or creating adverse environmental conditions that impair healing, growth, or regeneration of corals. Overfishing can alter the ecological balance eliminating important groups of algae grazers (parrotfish, surgeonfish, etc) that in some cases can result in algae overgrowing corals. Coral diseases are an emerging issue. Relatively little is known about coral disease and ways to manage diseased reefs. Research is currently being conducted in Hawaii and around the world to fill knowledge gaps including how diseases are transmitted, how diseases harm coral colonies and cells, what drives the presence of diseases on certain reefs, and more. These data will provide essential information to more effective identify management options.